This single module slab can be used for a wide variety of projects particularly patios and terraces. 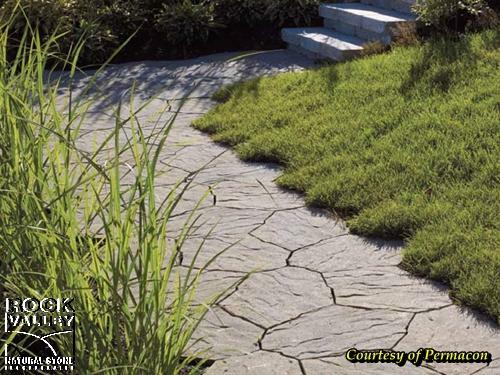 For the natural look of flagstone with irregular contours and surfaces. The random patterns can be used to obtain an "open" mosaic effect with fewer joints.